Our proprietary platform Rubicon provides a seamless omni-channel fulfilment experience by bringing together both online and offline channels. The platform powers omni-channel use cases and takes a holistic approach towards providing a great experience to your customer. 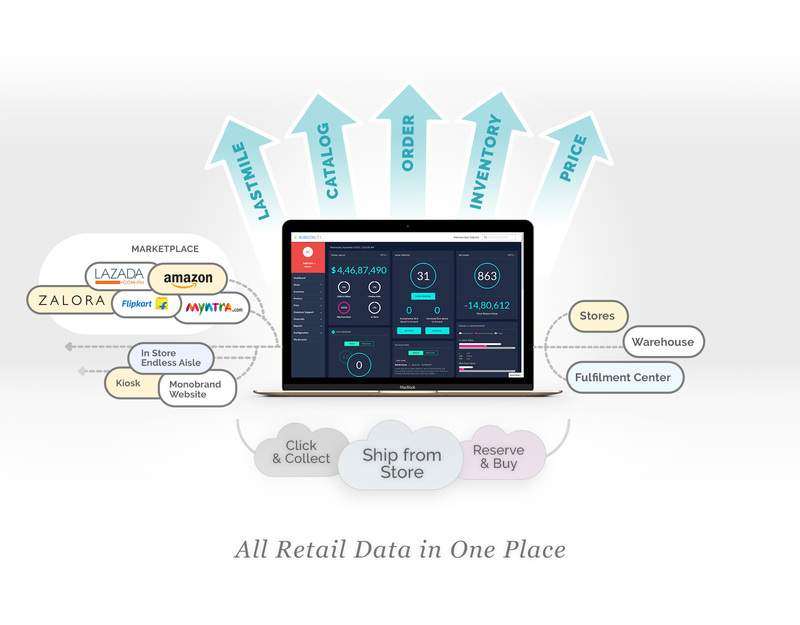 Rubicon’s distributed order management system provides the capability to manage orders received from any digital channel like your own website, marketplaces, customer support or other channels such as kiosks, digital magazines, etc. The system hosts a real time engine which allocates the order to the most preferable fulfillment point by evaluating various parameters like the availability of inventory, proximity to your customer, serviceability of their pin code and SLA adherence amongst others. Rubicon provides a single view of inventory across all channels. This inventory can be allocated globally across all platforms or can be broken down channel wise based on your requirements.The system publishes and updates your inventory for each sale happening from any channel thus keeping all other channels in sync with real-time inventory. You can use Rubicon to create a catalogue for your products which can be used across channels with the relevant set of attributes. Rubicon also manages your digital assets such as products and videos (360 degree or otherwise). Rubicon provides a data based allocation engine to prescribe an optimal delivery for your customer’ order. It also has an integrated ecosystem of multiple last mile logistics partners. and provides end to end tracking of your customer’s order from allocation to delivery through real time updates.